Bon anniversaire, Julia Child. The darling of French cuisine’s birthday is August 15th, and we think the adored, talented, unpretentious chef would love these five casual French restaurants that are anything but stuffy with approachable-yet-classic French fare — including one of her favorite spots to dine and sip at when she lived in the Boston area. 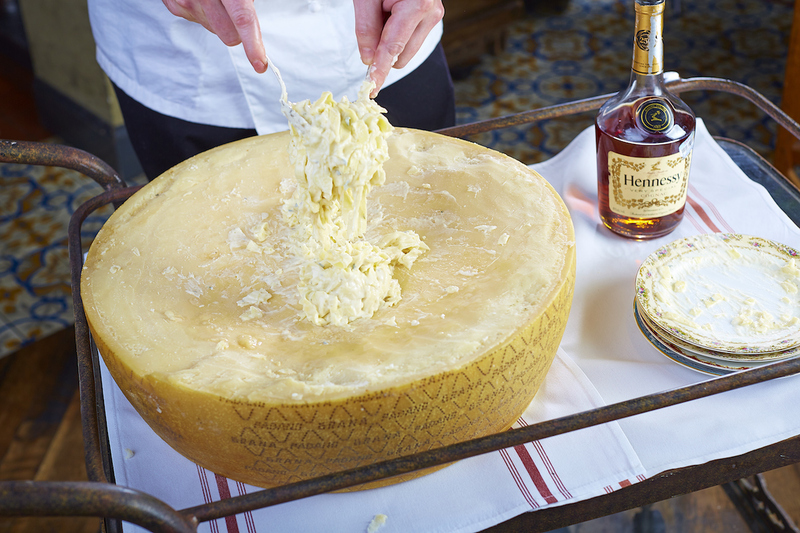 Julia famously said, “If you’re afraid of butter, use cream!” In that spirit, we say, bon appétit. The idea behind Laurent Vrignuad’s restaurant is to make guests feel as if they have been transported to France. 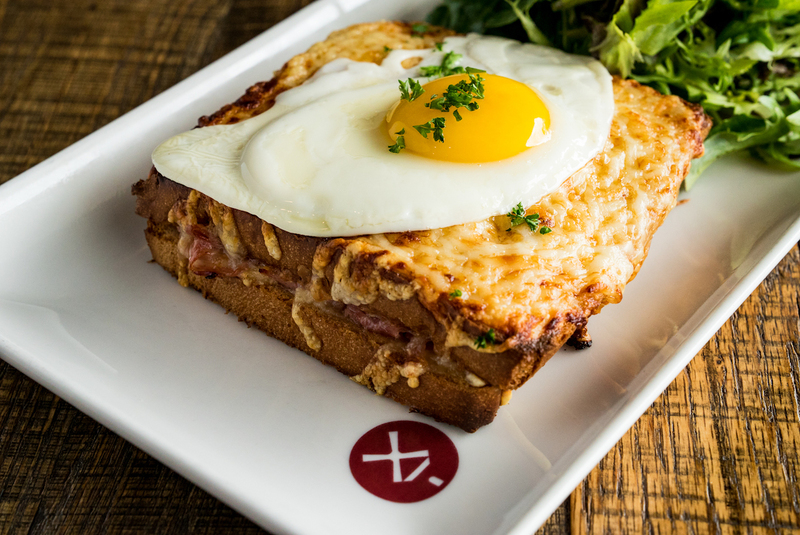 The chef and boulanger-pâtissier were both culinary trained in their native France, the décor is decidedly French bistro, and classics like the croque madame and fresh-baked artisan pastries practically demand a beret. Make a reservation at Moulin. James Beard Award-winning chef Michael Mina’s bistro is an ode to Paris with a locally-sourced menu that has creative nuances on traditional French dishes. 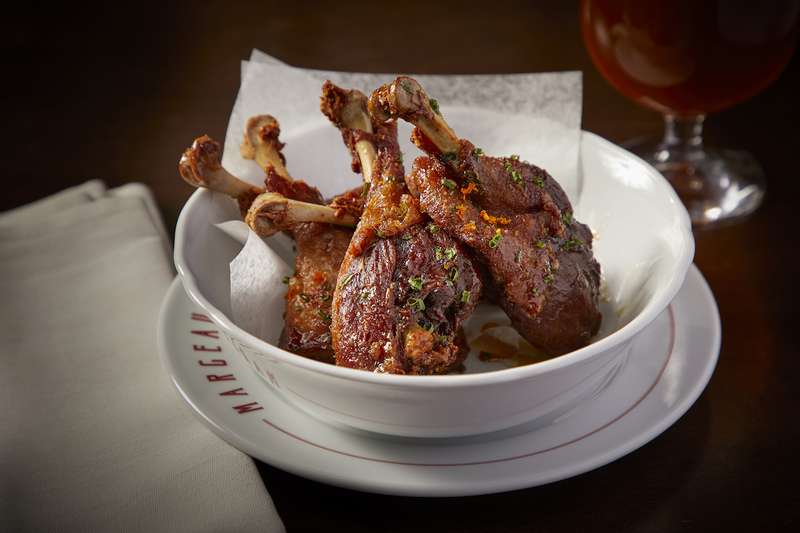 Like the duck wings à l’orange, which goes from fancy plate to shareable app. Also don’t miss the hand-ground steak tartare with potato gaufrette, spicy cornichon, and egg yolk. Make a reservation at Margeaux Brasserie-Waldorf Astoria. Hip and unpredictable like its Lower East Side locale, the restyled French menu here is rooted to French classics but with a rebellious spirit. The staff wears Levi’s 501 jeans and Nike Air Jordan sneakers and serves signature French dishes like mille-feuille (trumpet royale, pea shoots, green curry) and poisson vin blanc (black bass, Madras Curry, button mushrooms). Make a reservation at Dirty French. Order the fresh tagliatelle pasta and you’ll get a dish flamed tableside. Pair it with the signature péché mignon, a frozen ball made from mixed berries, pineapple orange juice, Crème de Violette liqueur, and Champagne or rosé. The booze is poured over that frozen ball tableside, and as, the ball melts, the sip gets tastier. 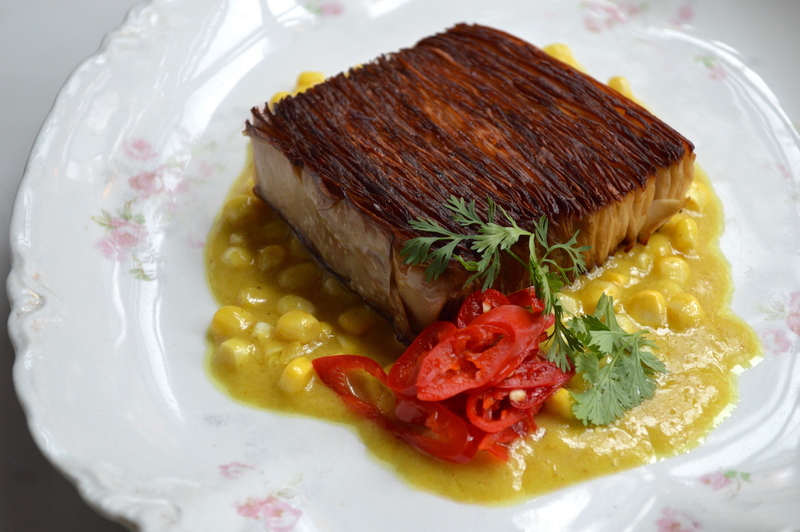 Make a reservation at Mercat Bistro. 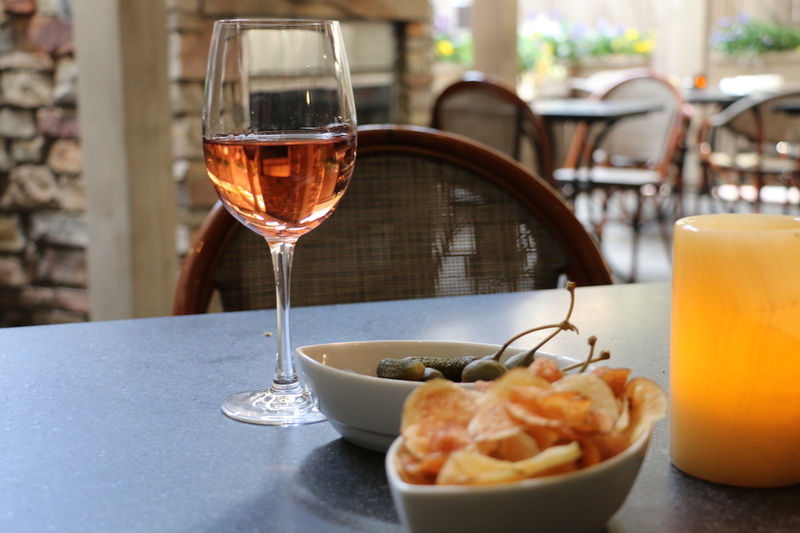 Toast to the birthday gal at her favorite restaurant with a glass of rosé from the new rosé bar on the patio. The adored chef loved her wine and she also loved oysters, so go ahead and pair your celebratory sip with an order of the New England oysters. Or sit indoors at her favorite booth (102), and order comfort food just like Julia did — she would love the roasted chicken. Make a reservation at Harvest. What are your favorite casual French restaurants? Tell us here or over on Facebook, G+, Instagram, Pinterest, or Twitter. And, remember to snap + share your #dishpics with us on Instagram for a chance to win in our weekly giveaway. Photo credit: Kevin Marple (Mercat Bistro).